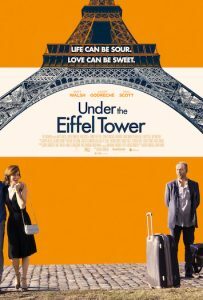 Under the Eiffel Tower is a story of finding one’s place. Stuart (Matt Walsh) is “living a life of quiet desperation.” He’s bored, and to top it off, he just got fired. His friends invite him on their family vacation to Paris and he accepts. It’s there where he finally learns what is important and what he really wants out of life. It starts with him abruptly proposing under the Eiffel Tower to the 24-year-old daughter of his friends. His initial thought is that they have some of the same ideas about life so why not share them together? It doesn’t bother him that he is young enough to be his daughter. After her rejection, Stuart takes off for the French countryside, where he meets Liam (Reid Scott), a man who fancies himself a ladies’ man and who can turn a good tale. The two meet Louise (Judith Godreche) on the train. She owns a chateau and vineyard and the three end up at the chateau, along with the other owner Gerard (Gary Cole). It’s there where Liam makes his move on Louise. But it’s also there where Stuart comes out of his self-imposed exile and into his own. He shows everyone how knowledgeable he is about wine, history, and even his accomplishments in the kitchen. He is a well-rounded man, which is something that initially will surprise viewers. In the beginning he is just a schlub, but as the story progresses, Stuart shows he is a smart, cunning, sweet, and loveable gentleman. As the time goes on, Stuart’s attraction to Louise and hers to him is evident, to the dismay of Liam, who ultimately comes to blows with his traveling buddy. But what will happen to these two men and this woman? What is in store for all of them? This romance is, at its heart, a story of two people who discover that home is where the heart is. Although it is filmed in France, the movie is in English with just a few scenes of subtitles. 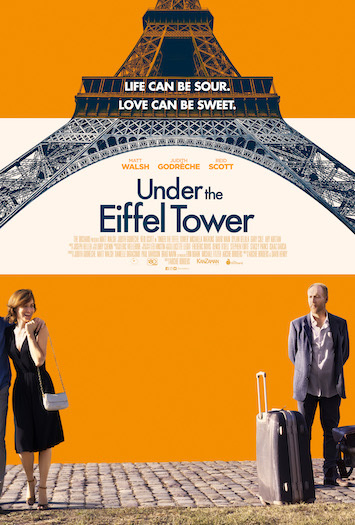 Under the Eiffel Tower hits theaters February 8, 2019.